St Kilda's 2019 AFL fixture has landed; your need-to-know guide to Season 2019 inside. We are determined to let our football do the talking in 2019, regardless of when and where we play. The Saints’ quest to deliver a significantly-improved performance in 2019 was mapped out today, with the release of the 2019 Toyota AFL Premiership Season fixture. As already announced, the Saints kick off their campaign at Marvel Stadium on Sunday, 24 March against the Gold Coast Suns before games against Essendon (away), Fremantle (away) and Hawthorn (home) in a vitally important opening four rounds. 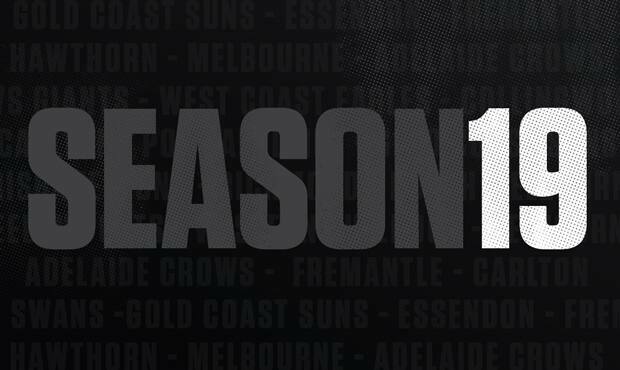 The Suns are one of five teams the Saints meet twice in 2019, with Fremantle, Melbourne, Carlton and Adelaide the other four. Highlights of the fixture include Maddie’s Match against Richmond in Round 15, the Shanghai clash in Round 11 against the Power, and a blockbuster Saturday night date with the Demons at Marvel Stadium in Round 19. Importantly, the Saints’ fixture includes no back-to-back six-day breaks (five in total) and an even spread of interstate travel across the 23 rounds. After heading to Perth in Round 3, Alan Richardson’s men travel to Canberra in Round 7 to take on the Giants, Townsville in Round 13 to play the Suns, Hobart in Round 16 to meet the Kangaroos, Adelaide in Round 20 to face the Crows and finish the season against the Swans at the SCG in Round 23. St Kilda CEO Matt Finnis said the Saints’ fixture was strong from an on-field point of view and offered fans plenty of opportunities to watch the team live. “We have six home games on a Sunday afternoon at Marvel Stadium, five of them in the family-friendly 1.10pm or 3.20pm time-slots,” he said. “With kids in for free and kick-to-kick on after every game, we expect Sunday with the Saints to be a hit with families. “From a football perspective, we are pleased to have no back-to-back six-day breaks and a good spread of our interstate travel. “While many of our fans will be disappointed the AFL has not scheduled the Saints on Friday nights in 2019, we take responsibility for our poor performance this year and the impact this has had on fixture slots.